This week’s post and Podcast Episode topic came from another great suggestion from Marcus. He forwarded me some details about the concept of building websites to rank for local search terms in a particular area and then renting them out for $500-$1000/month or selling them for a profit. The concept is simple, build a bunch of different websites for terms like “atlanta plumbers”, “tampa pool companies” or a similar type of service that customers would be looking to spend money on in a local area. 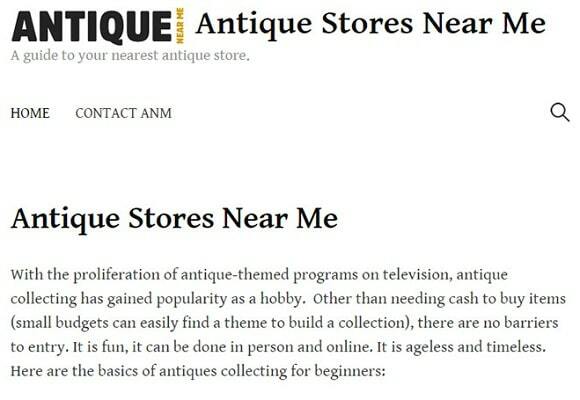 Additionally, the primary article I used for research also talked about ranking for terms like “near me”, for instance, “antique stores near me” or “apartments near me”. The sites will be VERY simple, 1-2 page websites with a primary article with around 1000 words targeting the particular phrases you’re looking to rank for and a contact page. That’s it as far as content goes! You can see it is definitely nothing fancy. No professional web design skills needed. Then go out and get 1-2 backlinks from pretty much anywhere, just so Google will see the link and head on over and crawl the site to get your rankings going. You can use any existing websites you might have for that, or just search for “internet directory backlinks” in Google. Then do the same for a bunch of similar sites for different terms or locations and let them sit out there for a month or two and see which ones start to rank on their own. This is a numbers game. The more sites you have in play, the more chance you have of succeeding. After a month or two, type in your targeted search terms into Google and see how your rankings are going. Or even better, plug your URL into either the limited free or 14 day full trial of SEMrush and let it report back on what you’re ranking for automatically. If you went from oblivion to page 1-5 of Google, that’s what you’re looking for. For those sites, add in another article or two to rank for some related terms, go out and get another couple easy backlinks and keep an eye on things over the coming weeks. The goal is to have website(s) centered around a particular phrase on the first page of Google, that a local business in your targeted area would be more than happy to pay for, to get additional exposure and leads for their business. The best part is that once you get there, you already have the social proof that you know what you’re doing, since you’ve been able to rank a website on the first page of Google. At that point you just have to decide which route you want to go. You could approach small businesses over the phone or via email to try and get them to rent your site for somewhere between $500-$1000 a month, or whatever you feel is appropriate. If the idea of reaching out directly to folks is intimidating, or something you’re not comfortable doing just yet, you can always just post the website for sale on a site like Flippa and take the profits and use them to build out more sites. Here are two examples from the source article showing where Glen was able to sell two of these very basic sites that were ranking on page 1 of Google, along with the amounts received. Quite impressive! It is a really interesting idea, because it has such low barriers to entry, takes only very minimal effort and it is something that once you’re able to prove it out, you could scale things pretty easily. Really the only costs involved are having a hosting account, registering domain names and probably about 1 hour of time initially, per website. 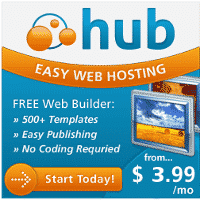 If you already have an unlimited hosting account, like I do through WebHosting Hub, then the hosting part is taken care of. If not, you can go through my discount link and get an excellent unlimited hosting plan for just $5.99/mo. Then all you need to do is either register a new domain for each phrase you are targeting, or you could also experiment with having one main site and using sub-domains. 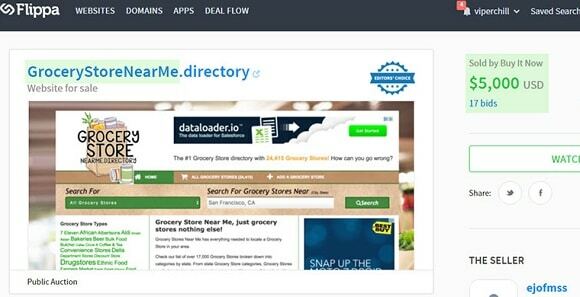 Domains are typically $10-12 or less, including domain privacy and I recommend and utilize NameCheap. For example, you could either register sites like atlantaplumbers.com and tampapoolbuilders.com or try like a bestoftampa.com/plumbers and bestoftampa.com/poolbuilders. If you’re thinking you might sell sites down the road, I’d definitely recommend going with a separate domain name per phrase. 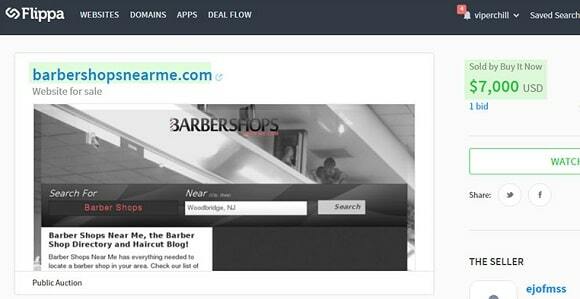 If you’re looking to rent your site(s) out, then you could go either way. So you can see that for just $10-20 per site or less, you can really try out a lot of different business ideas in just a short amount of time and the profit potential from either renting a site for $500-$1000/month or selling for a few thousand is quite intriguing! 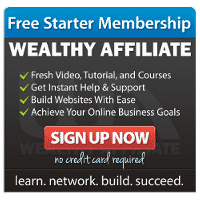 Even if you just managed to get a few hundred dollars renting or flipping the sites that do rank, I think you can see where this could really work out on a large scale. Another potential idea is to then take the websites that are ranking on the first page of Google for a particular phrase and then use them as a lead generating website. If you’re ranking on page 1 of Google for Atlanta Plumbers for example and you have your contact page up there, you can take leads by contact form, email or phone. 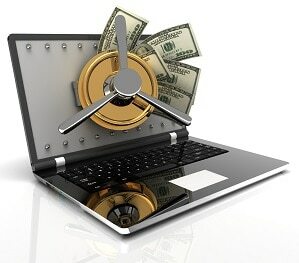 You can then work with local companies to provide them qualified leads in exchange for a share of the profits. This could be quite lucrative the higher a typical service costs. You can also utilize call tracking services to track those leads. Typically a phone call that goes beyond 60 seconds is considered a qualified lead. If you have those stats on number of calls, number of qualified leads and typical revenue per lead, those would be some great stats to provide not only to folks you’d like to rent your site to, but also great for if/when you want to sell the site down the road. This really is an interesting idea that if successful, could be a great way to bring in some side income, but not only that, you’re learning some SEO skills and experimenting to see what works for ranking. That is also a very valuable skill and one that can pay off as well. I mentioned a PDF guide on the Podcast, but realized it wouldn’t be appropriate copyright wise to share someone else’s content directly. That’s ok, because the reference post at the bottom really contains everything you need and more, when it comes to examples and exactly what you need to do to get started on the idea right away. Glen rocks! This is definitely something I’m going to try myself in the coming days, weeks and months. I already registered 2 new domain names so far, with plans for several more. I mentioned on the Podcast that I will probably try starting at the community level first, the large planned community we’ll be moving to soon. Then I will also attempt to rank similarly on the county level, to broaden the audience and potential traffic and customers, followed then by a larger city or municipal area. The idea is that I think I can rank pretty easily on the community level to prove things out and the local community would be a great place to try things out with local small business owners. At the same time, splitting up the targeted phrases between topics and geographic area also provides some diversity, so all your eggs aren’t in one basket. If you will be giving this idea a try, I’d really love to hear about your progress. You can either leave a comment on this post, drop me a note or voicemail via my contact page or jump over to the Private FB group and share your results there. I will also be sure to update you with any progress, good or bad, once I let the sites sit for a month or two, to see how things go. Be sure to jump on my email list to get notified for future posts and Podcast episodes on the topic. If you do try things out, best of luck and I hope this is a huge success for everyone!